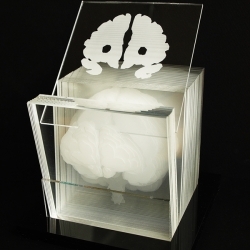 Made of laser-cut etched acrylic, this model is part of a graduate architectural thesis project and the result of an exploration of reconstituting the sections produced through tomography. 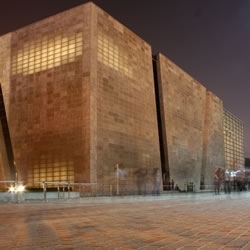 New offices for advertising company RI in Ecuador. A series of wooden furniture pieces are assembled inside the open plan to create the different spaces. 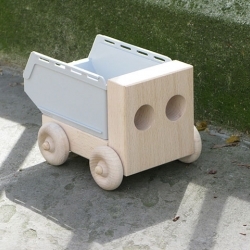 Dumper by Sam Johnson for Thorsten van Elten is a toy truck not just for kids. 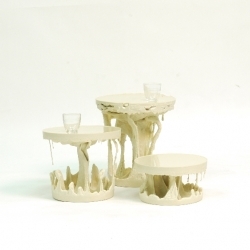 Made of solid beech and an off-the-shelf plastic stacking box every DIY enthusiast will know. Salt n' Peanut is an adorable DIY Soft Circuit Kit that teaches you how a basic LED circuit works. 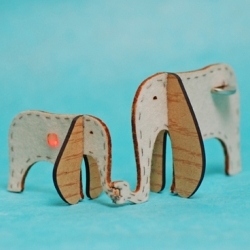 The circuit is sewn using conductive thread (no soldering involved). Great weekend project for you (and your kids). 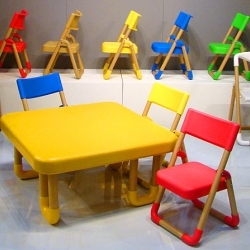 HEMEC creates cute, fun, customizable eco kid furniture from paper tube rolls. 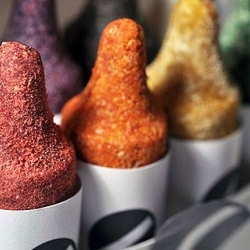 These edible handmade Luxirare crayons are literally health bars comprised of fruits and vegetables, nuts, and chocolate covered sesame seeds with a melted marshmallow core. Did I mention you can draw with them, too? 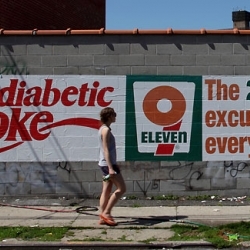 That master of Propaganda, Ron English, has struck again, subverting some of the corporate world’s most recognizable symbols with his inventive, witty and incisive form of artful anti-advertising. 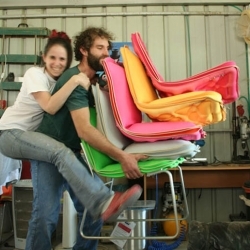 Industrial Upholstery, a project by Gilli Kuchik from Bakery Studio, explores new ways of upholstering furniture. 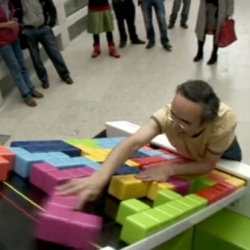 Physical Tetris at the codeco coded-decoded-coded exhibition DSK (Juan Lesta & Belén Montero) of the Luis Seoane Foundation in Coruña, part of the Proxecto edition. 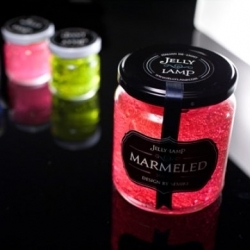 Marmeled are not jam spreads, but jar shaped lamps from Laura Menichelli and Gianluca Ruocco Guadagno of Studio Semika. Stained gel is illuminated with LEDs, powered by batteries hidden in the lid, creating diffused lighting. 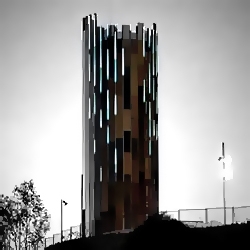 Designed to conceal a water reservoir within it, the solar powered media skin developed by ag4 is a stunning fusion of moving images with the extraordinary architecture of the building. 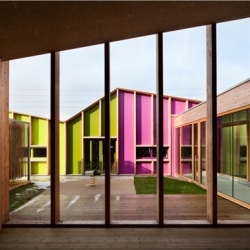 The Epinary Nursery School, a multi-coloured, low-tech zigzagging nursery in Epinay-sous-Senart, France. Nice and simple! 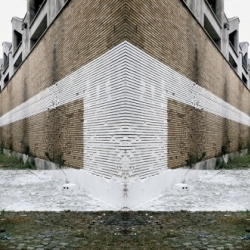 By BP Architectures member of Collective PLAN 01. 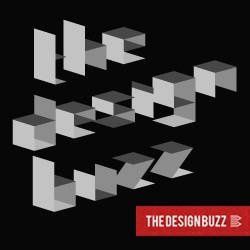 The DesignBuzz present 10 Awesome Free Fonts by Fontfabric. Absolutely gorgeous ambient maketing by Ray-Ban in Madrid's underground. 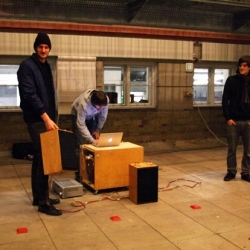 Take a look at this pop-up store, a true ephemeral showroom. Stas Doyer’s L’Hydromel floating bed promises a deep relaxation experience. The Rodrigues Harvey House is a modern and simple house by Nicolas Loi of Loi Arquitectos. 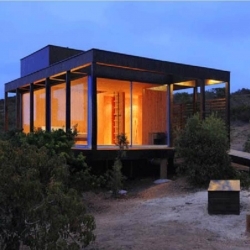 Located in Tunquén, a coastal area in the central region of Chile, on a 5.000 square metre site overlooking the sea. 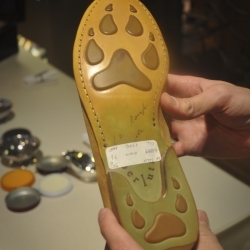 A private visit in the Berluti's workshop, Paris. 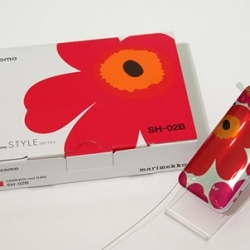 Marimekko Mobile will be released from NTT Docomo in July. 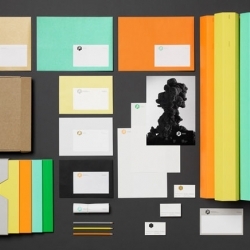 Paper Rain's Paris based accessory brand COTEetCIEL creates functional yet aesthetically pleasing products for creative talents on the move. Another great design by Vandeventer & Carlender Architects. 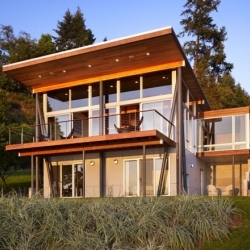 The Vashon Island Cabin is a remodeling project for a one story cabin with a daylight basement. 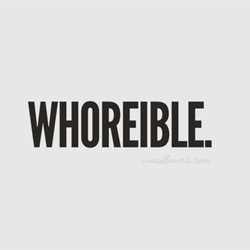 When typography mixes letters and meanings it gives amazing art work. These are signed by Peter Kay. 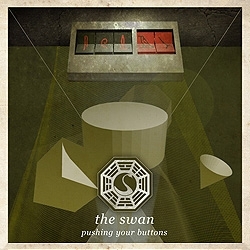 A series of Lost posters based on the Dharma Initiative stations, to celebrate the finale. 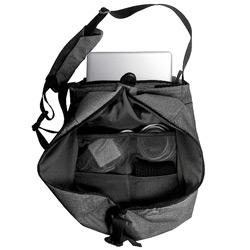 Designed by websitesarelovely. Göteborgstryckeriet was established in 1918 and has now gotten a updated modern but yet classic make over from Happy F&B. 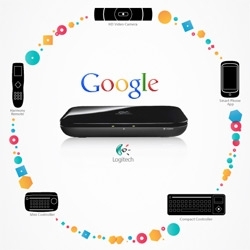 Personal favorite is the hexagon shaped poster tubes. 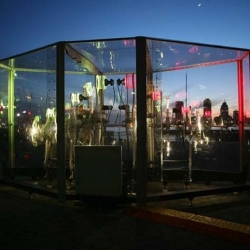 Weather Beacon: Kinetic outdoor sculpture by Eric Guzman translates weather data into art. 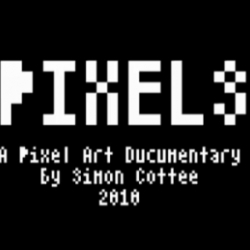 After the fabulous Patrick Jean's shot film "Pixels", here comes a short documentary on Pixel Art made by Australian animator Simon Cottee. From A to Z, discover this stunning art. FEATUREDWhat a week we've had! 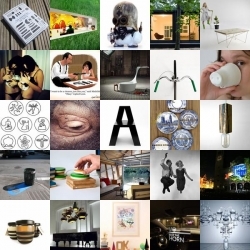 This week's NOTCOT.org roundup features a bit of everything, from ABC furniture to jumpology. Water Imprint by Yaslab. 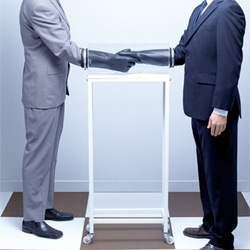 Most plastics are made from oil derived liquid with no original shape. 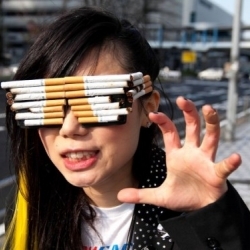 We only see plastics in artificial molded shapes.That makes us to feel "it is not natural". 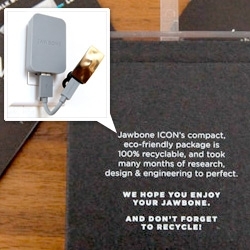 What might a natural form of plastic be? 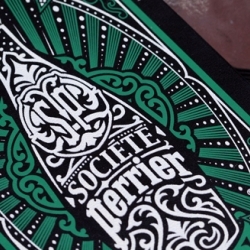 Perrier and Moleskin have joined together to create a new special edition Moleskin in honor of Perrier’s new lifestyle blog Société Perrier, that aims to provide night life events. 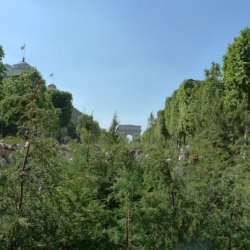 This weekend, the mythical Avenue des Champ Elysées was transformed into a small forest by artist Gad Weil. 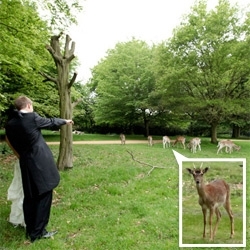 8 000 plots of land, 4.2 million euros and 2 M visitors. 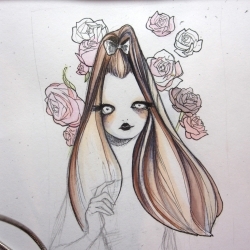 See pictures and timelapse. Holiday Matinee is continuing their quest to spread creativity, and these new freelancer notepads are the perfect thing for those random, inspiring ideas! 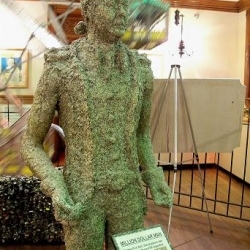 The Million Dollar Man was designed by Jim Shore of St. Augustine Florida from one million dollars of macerated money. The Workerman Blok lights are back in stock and on sale. 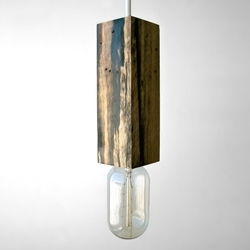 Also available in new wood styles including this dramatic black and white ebony version. 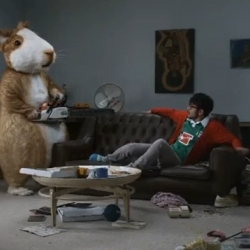 MTV lauches 3 tv commercial against the Fifa world cup. Very stupid and very fun, the protagonists are put in crazy situations that would have never happened without football broadcasts on tv. 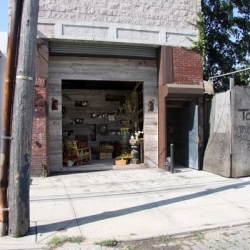 Saipua Shop in industrial Red Hook, Brooklyn, was designed by the architects of Tacklebox for a small, family-run business dedicated to small batch production of handmade soaps and unique floral arrangements. The Safe House by architect Robert Konieczny of Polish architecture firm, kwk promes, is a modern giant concrete cube home whose walls were designed to move. 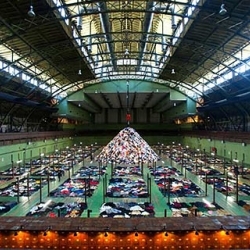 Christian Boltanski’s No Man’s Land installation is one of the largest ever seen - it features 30 tonnes of discarded clothing, 3000 used biscuit tins and the sound of human heartbeats. Wilkinson Bender Architects managed to turn what was once a funeral home, into a fully renovated modern and contemporary single-family residence in Chicago. London-based A2/SW/HK has done some great work including these unified book covers and bespoke typefaces for the complete works of Samuel Beckett. 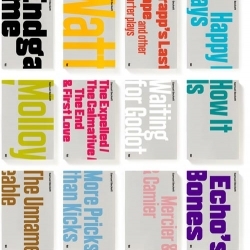 The design matches the 1960s covers in their "bold typographical approach". Check out this series by Julia Fellner. The ceiling lamp “yes!” remembers, when you jump for joy. 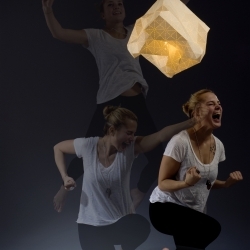 Its paper lampshade is perforated with a triangle structure. More to be presented on DMY10 in Berlin. Starring the whole superéquipe Team. 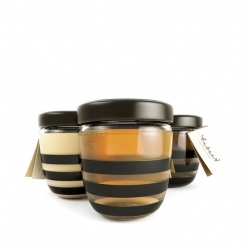 Babees Honey has gorgeous packaging by Ah&Oh Studio.